Safe to say that most of us would class Prosecco and willies among our favourite things, so it makes perfect sense to combine them, in an edible form and that is exactly what we've done with these delicious Prosecco Willies. 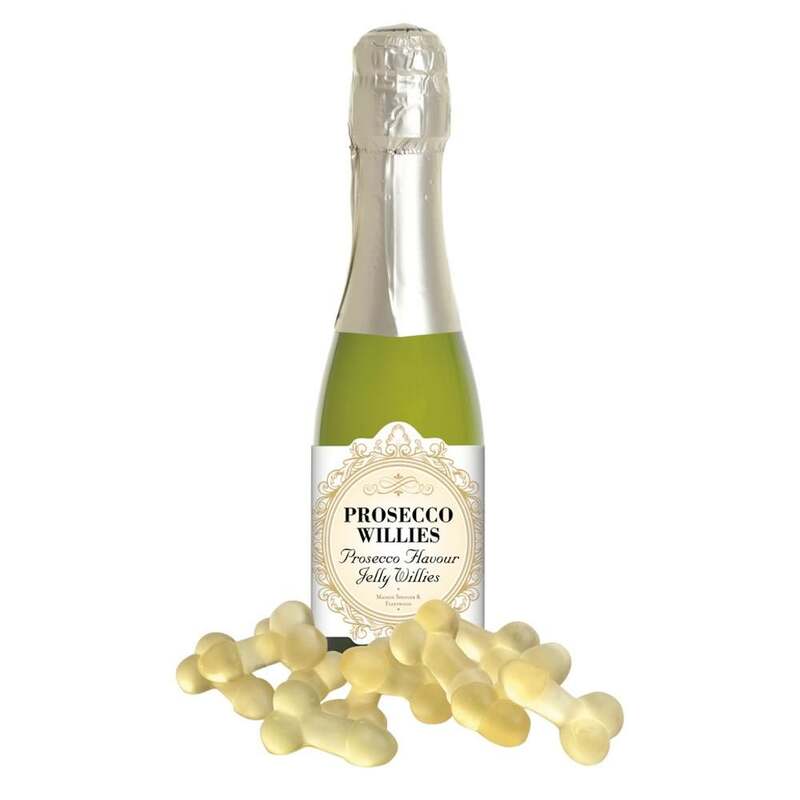 They come in their very own green plastic Prosecco bottle and the pack contains 120g, that's around 20 individual sweets. 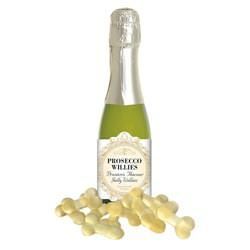 If you;'re looking for some nibbles with a little bit of class which taste delicious and are still hilarious then these are possibly the perfect item for you. Ingredients: Glucose syrup, sugar, gelatin, acid: citric acid, natural flavour, anti-caking agents: caranuaba wax. Produced in a factory that handles wheat, not suitable for Vegetarians.